If you have ever been arrested, there is a record of your arrest. Even scarier, is that anyone can know about your record. 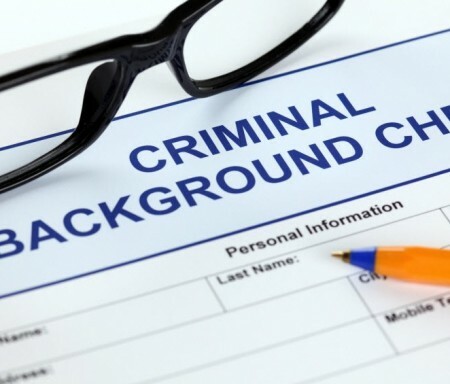 Having a criminal record can make it near impossible to get a job, housing, get into college, and get financial aid to just name a few effects of having a criminal record. The good news is that certain types of arrests can be expunged—that is—cleared from your record. An expunction, also known as sealing your record, can do you a world of good. Basically, were you arrested? What were you charged with? Were you convicted? How much time has passed since your arrest? The exact requirements to be eligible for an expunction are very complex, so please call or email to learn if you are eligible for an expunction. If your case was dismissed, or you were found not guilty, get in touch today. Expunctions clear your record, and trust me, it is worth the price. Anon-disclosure is similar to an expunction. Non-disclosures offer many of the same benefits as expunctions. One difference is that many more people are eligible for non-disclosures than expunctions. If you were placed on deferred adjudication for most misdemeanors, you are eligible for a non-disclosure after you end probation and your case is dismissed. If you successfully completed a deferred adjudication for misdemeanor kidnapping, unlawful restraint, sexual offenses, assault charges, family violence charges, disorderly conduct, or a weapons charge, you are eligible for a non-disclosure two years after your case is dismissed. If you successfully completed a felony deferred, you are eligible for a non-disclosure five years after your case was dismissed. Call or email now for your free case evaluation to see if you are eligible for a non-disclosure. PREVIOUSLY ARRESTED OR CONVICTED OF A CRIME? CLEAN YOUR RECORD!